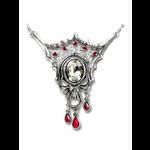 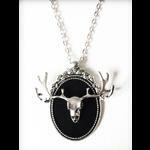 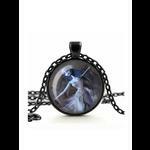 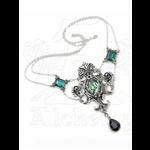 A stunning statement tattoo necklace from Alchemy's UL17 Angelic range. 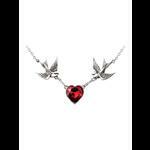 The necklace comprises of a pewter heart studded with three red Swarovksi crystals and a little pewter bow also decorated with a red Swarovski crystal. 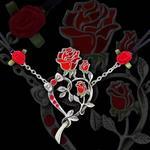 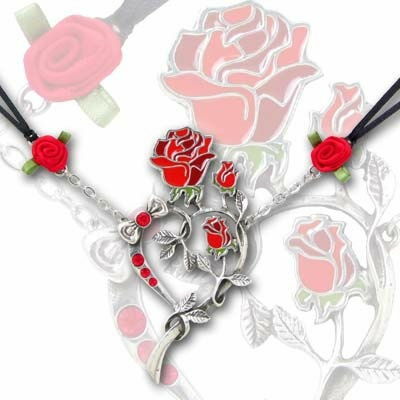 Above the heart is an enamelled red rose with two further enamelled rosebuds. 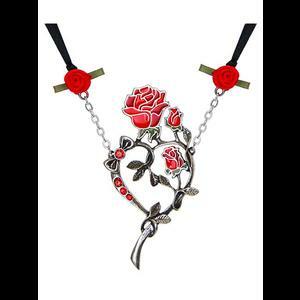 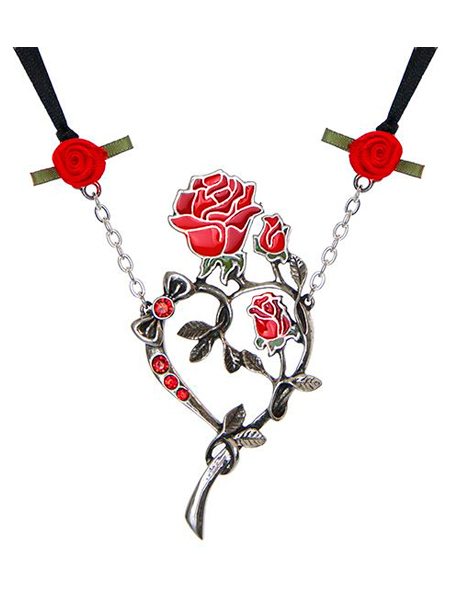 The necklace is attached by a split chain which in turn is attached to narrow double satin ribbon accented by two little red fabric roses. 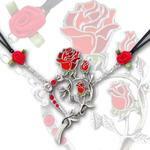 The ribbon ties at the back of the neck enabling you to adjust the length of the necklace to suit you.